Assured Automotive has been in the auto collision repair business for over 30 years and has become the leading choice for auto body repairs by major Dealership organizations in the GTA and Eastern Ontario. Assured Automotive is a corporately owned organization that operates over 60 auto body/collision repair facilities located through the GTA, Southern Ontario and the Ottawa region. Their vision is Customer 1st and each and every customer should be treated with respect and attention. Assured Automotive utilizes the latest in repair and production techniques to ensure every vehicle is repaired back to factory specifications. Assured Automotive deals with every major Insurance Company and many selected vehicle Dealerships/Manufacturers in order to offer each of our customers with a hassle free claims experience. Schedule your service online, or call our Service Department for an appointment at (647) 952-9322 or, stop by and see us in person at 290 Dundas St E, Mississauga, ON L5A 1W9. The choice where to repair your vehicle is always yours. What is my deductible and why do I have to pay it? Your deductible represents the financial portion of the claim to which you are responsible for. You would have agreed on the $$ amount your deductible represents when you purchased your insurance policy. You may have different deductibles which respond to specific coverage. Please check your insurance policy to verify your deductible(s). Your deductible can be paid at the time you pick up your vehicle once it has been repaired. What exactly is an Insurance “preferred” auto body shop? Insurance companies have business relationships with specific auto body shops to ensure quality workmanship. The insurance company will offer you a LIFETIME warranty if you have your vehicle repaired at one of their suggested or “preferred” shops. Is Assured Automotive an Insurance “preferred” auto body shop with my Insurance company? Assured Automotive locations are recognized as Insurance “preferred” auto body shops with the majority of Insurance Companies. Please check with the nearest Assured Automotive location or your Insurance Company to confirm. Do all Insurance “preferred” auto body shops offer the same services and benefits? Will all Insurance “preferred” auto body shop honour my Manufacturers warranty on the repairs? No they will not. An auto body shop MUST be affiliated with dealerships which represent each specific Manufacturer in order to honour the manufacturers warranty on your vehicle. You should always ask this question of any auto body shop if you own or lease a new vehicle. Assured Automotive has many affiliations with several dealerships covering the majority of vehicle manufactures. Does your company offer a warranty on repairs? We offer a LIFETIME warranty on the repairs to your vehicle as long as you remain the registered owner or lessee. We also can extend the manufacturers warranty to your vehicle (when applicable). Will my insurance rates go up if I report my accident and file a claim? By law, you are supposed to report any vehicle accident. As far as rate increases are concerned, most Insurance companies now offer “accident forgiveness” on your 1st at fault accident. You should always check your policy coverages to confirm that you have the appropriate coverage. If you are unsure about your coverages, always speak to an insurance professional. If you are unclear if the accident was your fault, please review the “Fault Determination” rules utilized by insurance companies to determine fault. Will you be able to repair my vehicle back to its original condition? We offer a LIFETIME guarantee on all repairs. We have trained technicians and the latest equipment to ensure the repairs to your vehicle meet manufacturer specifications. It is our responsibility to ensure your vehicle is as safe as it was before the accident. Will you be using brand new parts to repair my vehicle? If your repair is managed by your insurance company; it is not up to the auto body shop to make the decision on which parts to utilize for repairs. The insurance company always decides on how they would like the vehicle repaired. If you are concerned about new parts versus “other” parts, you should speak with your insurance adjuster or agent for clarification. Will you be able to match the colour of paint on my vehicle? We have chosen to do business with only the best automotive paint suppliers in the industry. These same paint suppliers also supply the vehicle manufacturers. We are always in accordance with the specifications outlined by these suppliers. Why do repair estimates differ from one auto body shop to another? It is important to take the necessary time and/or steps to ensure all related damages, as a result of an accident, are listed on an estimate. Most vehicle owners will not have the expertise to compare estimates line by line. Most consumers will compare prices which can be very misleading. Assured staff will ensure each customer understands their estimate and feels comfortable with the repair process before proceeding with any repair. One should always confirm that any estimates received are accurate and reflect the damages to be repaired. When comparing estimates from different auto body shops ensure you are comparing consistent estimates; apples to apples NOT apples to oranges. Do I need to report my accident to the police? By law, in most jurisdictions, you should report any accident involving a vehicle to the police. Many jurisdictions WILL NOT dispatch the police to the scene of an accident if there are only minor damages (under $1000/accident; aggregate for all vehicles involved). Will you report my accident to my insurance company? No, only the registered owner of a vehicle or the named insured on an Insurance policy may report any accident or damages to their insurance company. Does Assured Automotive provide courtesy vehicles? We do not provide courtesy vehicles. If your claim is insurance related, most policies have coverage which will afford you with a rental vehicle while your vehicle is being repaired. Please check with your insurance professional to ensure you have the appropriate coverage. Would I need to replace my child’s car seat after an accident? To ensure that your child or children are 100% safe, we ALWAYS recommend you replace your child’s car seat after being involved in an accident. Why Choose Authentic Mopar® Collision Repair Parts? Why Choose Authentic Mopar® Collision Repair Parts? That's simple. Our parts have been engineered exclusively for Chrysler, Dodge, Jeep®, Ram, FIAT® and Alfa Romeo vehicles. So your vehicle will not only look great after a repair, but also provide a safe and reliable ride...no matter where the road of life takes you. They install with a precise, good-as-new fit. Eliminate odd gaps, mismatched or slightly "off" alignments. Utilize the same quality materials, paints and coatings to match your vehicle. Maintain the same level of corrosion protection as your vehicle did when it was new. *Based on the Crash Part Certification Study by the Department of Consumer Affairs and Bureau of Automotive Repair (BAR), in consultation with the California Department of Insurance, January 1, 2003. Keeping your vehicle "like new" helps ensure you'll get the greatest return on your investment at the time of resale. Also, if you lease your vehicle, you'll be expected to return it "up to standard," otherwise, you may be required to pay additional termination charges. Authentic Collision Repair Parts by Mopar help protect you and your investment, and help minimize the possibility that your vehicle will lose some of its value unnecessarily. Choose your own body shop. It is your right to choose where you want your vehicle repaired. Knowing that your vehicle will be repaired by trained technicians using quality parts will give you peace of mind when the need arises. For this reason, we recommend that you use a Chrysler, Dodge, FIAT, Jeep® or Ram body shop for repairs. Don't leave the scene. Ideally, you should remain in your car until the police arrive. In some jurisdictions, you are requested to move the vehicle from active traffic lanes, if possible. Call the police. A police report created on the scene will help protect you later in dealing with your insurance agent, or with any legal actions that may be filed in the future. Please note that generating a police report at the scene is required by law in some jurisdictions. Get the right information. Feel free to download Accident Report Form and place it in your glove box to ensure you are prepared. Call for a tow. It is recommended that you contact Chrysler, Dodge, FIAT, Jeep or Ram Roadside Assistance at 1-800-363-4869. Although accident towing is not covered by your warranty, our Customer Service Associates are trained to understand the needs of your vehicle. Although the cost of the tow is your responsibility, you can still control the destination of your vehicle, and most insurance companies reimburse that expense. Get an estimate before authorizing repairs. Read the estimate carefully before authorizing repairs. You need to be certain of what you and your insurance company are paying for. 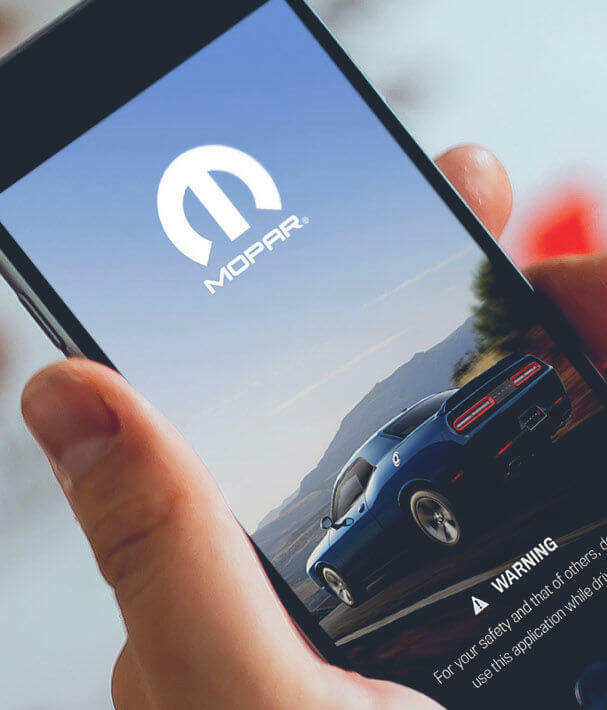 Knowing the difference between different grades of parts and demanding the use of authentic collision repair parts by Mopar® can help your vehicle retain its value, ensure your future safety and protect your warranty coverage. With many years of experience in the auto industry behind us, Cooksville Dodge Chrysler Jeep RAM is here for all of your vehicle service needs. We strive to provide you with top quality service. We care about our customers, and we show that in our customer service, and the quality of our work. Our goal is to get you back on the road as quickly as possible, and to keep you on the road. Our technicians are trained and certified to see to the needs of your vehicle, and equipped with state of the art technology. Trust Cooksvile Dodge Chrysler Jeep RAM with your vehicle for an outstanding experience.